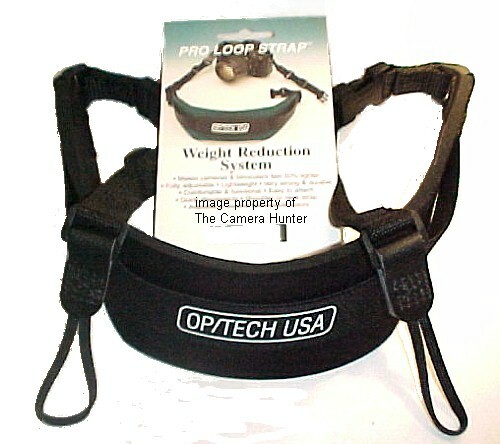 Finally, your camera can benefit from OPTECH USA's patented weight reduction system. This strap is brand new and will attach directly to your camera. The PRO LOOP STRAP combines all the same features of the PRO STRAP with a unique connection system for especially tight connection points. 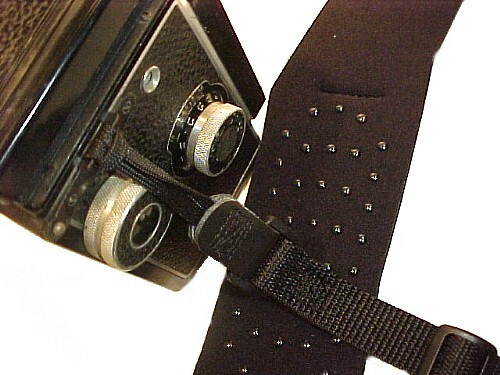 The strap loops through the connection area to form a slip knot which falls away freely from the camera when in use. 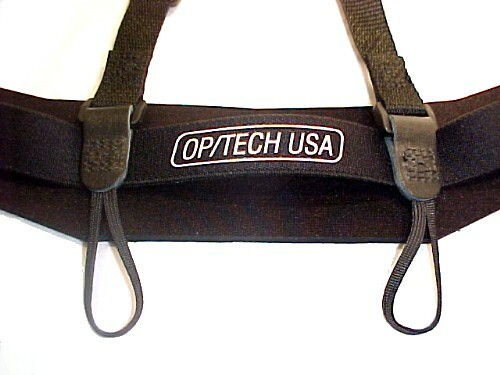 This easy-to-attach connection system is a great alternative to OPTECH USA's patented connector. A simple and extremely secure system you can trust! This is 100% MADE in the USA! Not many things left in the world that are made exclusively in America. I am proud to offer such a fine product to my customers. I have been selling camera equipment full time for many years now. I started out selling Vintage camera equipment, mainly accessories. I sold out of most of the used equipment and now sell new items like this. Here is a brand new ultra soft shutter release button for your Rolleiflex TLR Camera. We have it on my YASHICAMAT 124 in the photos but it will fit the Rolleiflex cameras the same as shown on the Yashica. This little item is top quality, machined out of solid brass and chrome plated, made in JAPAN. Some people are all thumbs. Pushing the shutter button on a camera like the Rolleiflex without shaking the camera is nearly impossible without this button. It will screw right in to the shutter button as pictured. As long as your shutter button has a threaded hole in the center his will fit. I really like having one on my camera. It makes it so much more convenient to find the shutter button fast and reduce camera shake.